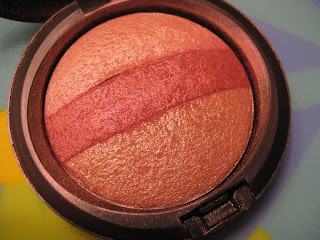 Here’s an eyemakeup look I put together using 2 shades from the Colorbar ‘Warm’ eyeshadow palette . Colorbar ‘Warm’ and ‘Cool’ eyeshadow palettes each have a combination of 5 unique warm/cool shimmery shades which can be used to create a multitude of looks. 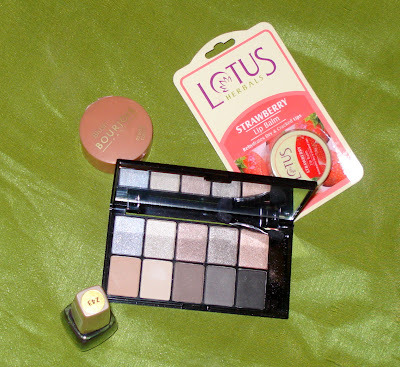 These palettes retail at Rs 499 each. The first encircled shade ‘humid‘ is a dull gold color with olive/henna undertones and I’ve applied it on inner half of the lid and inner half of lower lash line. 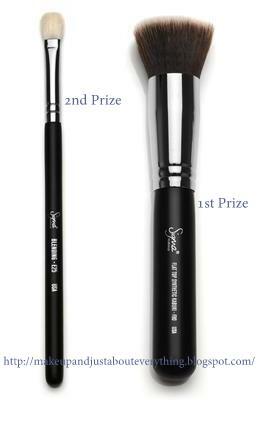 The second encircled shade ‘mystery’ is shimmery grey/black shade which I have used on outer half of the lid, lower lash line and on the crease. Together these 2 shades create a smokey evening wear look which would go very well with ethnic dresses. 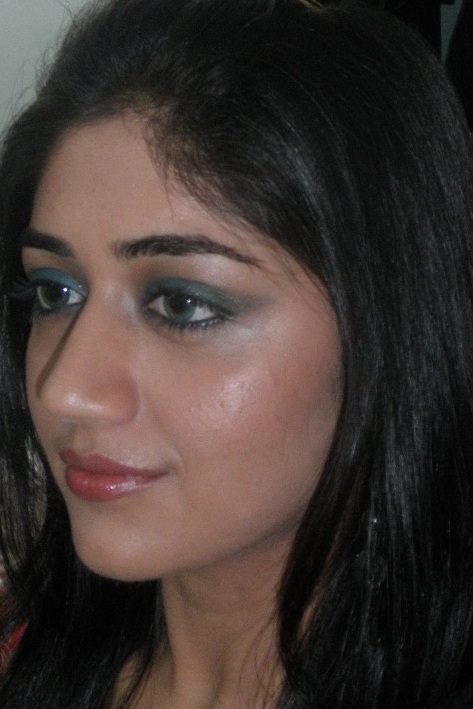 Winged eye liner, kajal and mascara complete the look. I tried a reddish brown lip color to go with this eyemakeup but it didn’t match so well. 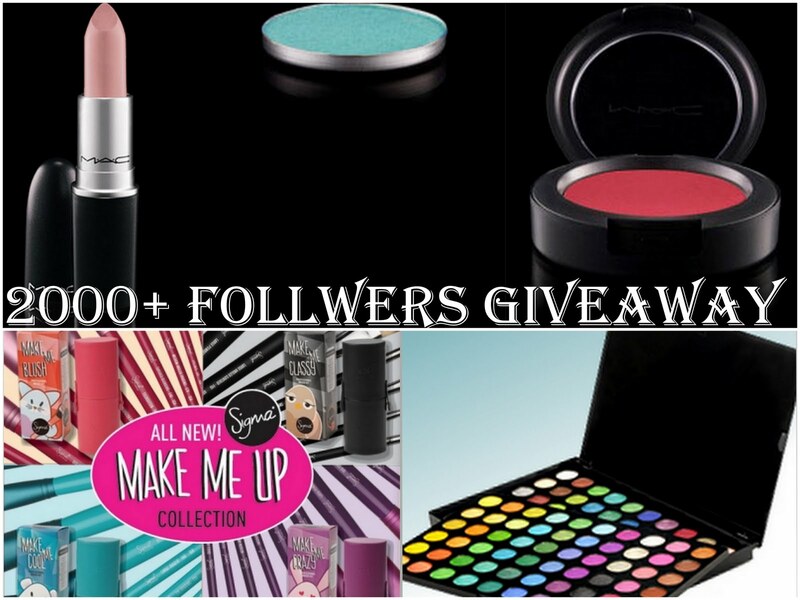 What lipstick shade should be paired with this eyemakeup? 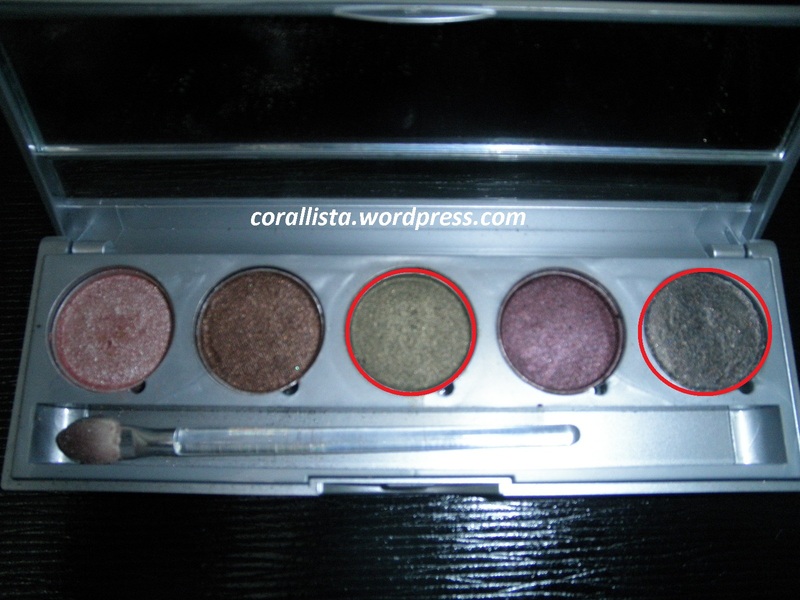 Have you tried Colorbar eyeshadow palettes? Let me know your suggestions by replying below.